Grandma's Bandon Beach House! Down on the Jetty- Beach Level! Oceans Views! Our room was right on the Ocean. 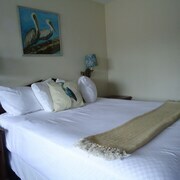 Lovely location, fantastic staff, clean rooms and grounds. Only improvement would be the breakfast, it was sufficient but lacking on variety. Where to find Bandon hotels near an airport? Where can I find hotels in Bandon that are near tourist attractions? 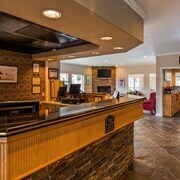 For tourists planning a trip to South Oregon Coast and want to book a comfortable hotel in Bandon, there are a few places to choose from. About 5 hotels and apartments are located within a 0.1-kilometre (0.06-mile) radius of the center of Bandon. Convenience is important when it comes to trouble-free traveling, so check out the latest deals at the Lighthouse Cove Inn and The Inn at Old Town, which can be found within a 1-kilometre (0.6-mile) radius of Bandon's center. 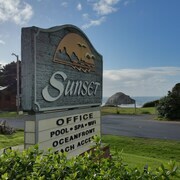 The Best Western Inn At Face Rock is 3 kilometres (2 miles) from the main part of Bandon. Another option is the Best Western Holiday Hotel, which can be found 35 kilometres (20 miles) away. 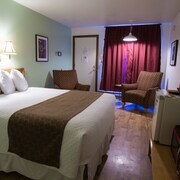 Other accommodation options worth looking into include the Red Lion Hotel Coos Bay and the Edgewater Inn. Reedsport is 75 kilometres (48 miles) to the south of Bandon. 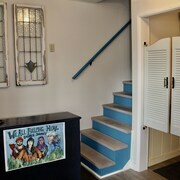 Here, you can experience the Gold Beach Books. Travelers planning to stay a night or two in Wedderburn have some great options to choose from; the Gold Beach Resort and Jot's Resort. While exploring the South Oregon Coast region, why not visit Reedsport, the proud home of the Umpqua Discovery Center. Reedsport can be found 70 kilometres (43 miles) to the north of Bandon. 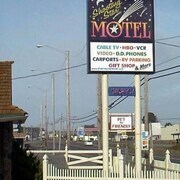 Places to stay in in Reedsport include the Best Western Salbasgeon Inn & Suites Of Reedsport and Best Budget Inn. Located 35 kilometres (22 miles) away from Bandon is Southwest Oregon Regional Airport. 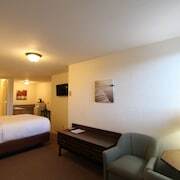 Stay nearby at Quality Inn & Suites at Coos Bay or Super 8 Coos Bay/North Bend. What are the most popular Bandon hotels? Are there hotels in other cities near Bandon? What other types of accommodations are available in Bandon? Explore Bandon with Expedia.ca’s Travel Guides to find the best flights, cars, holiday packages and more!